This hilly area is northeast of Vauban pass in the Drachvald region. 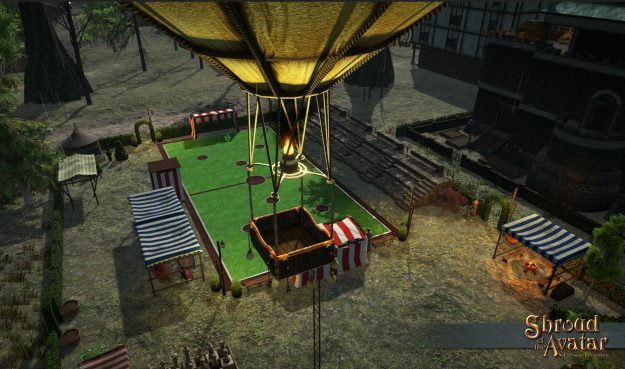 It was previously a Tier 3 area but is being upgraded to a Tier 5 area for Release 55. 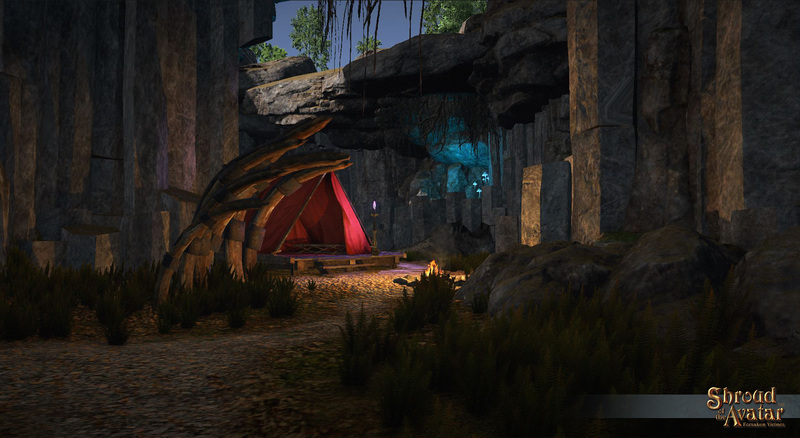 The increase in difficulty of this scene is part of a longer term effort where we will be increasing the difficulty of several scenes to better match the surrounding scenes and the character’s progress along the associated story paths that bring you near those scenes. Undead have overrun a village here and Ebon Dawn Cultists are taking advantage of the resulting chaos. Hey folks! I have a few screenshots to share of my current progress on East Vauban Foothills. In this scene, an Ebon Dawn mage has converted the population of a small village into zombies, and is performing experiments on them to see if their humanity can be restored. 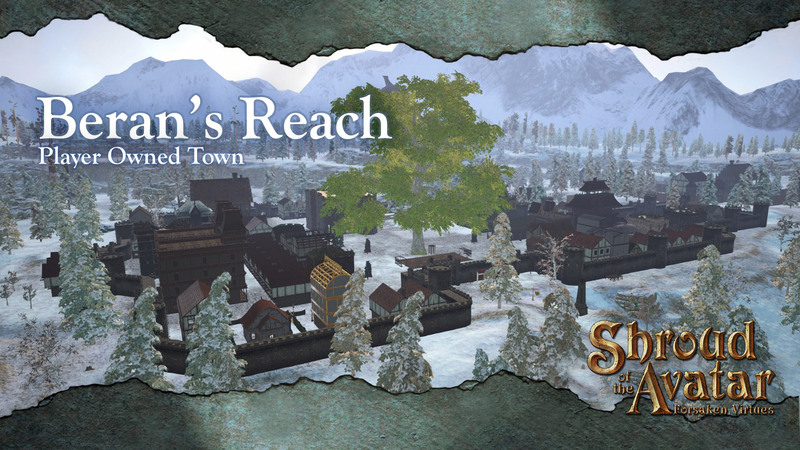 For this week’s spotlight, we toured the player owned town of Veritas Sanctuary. 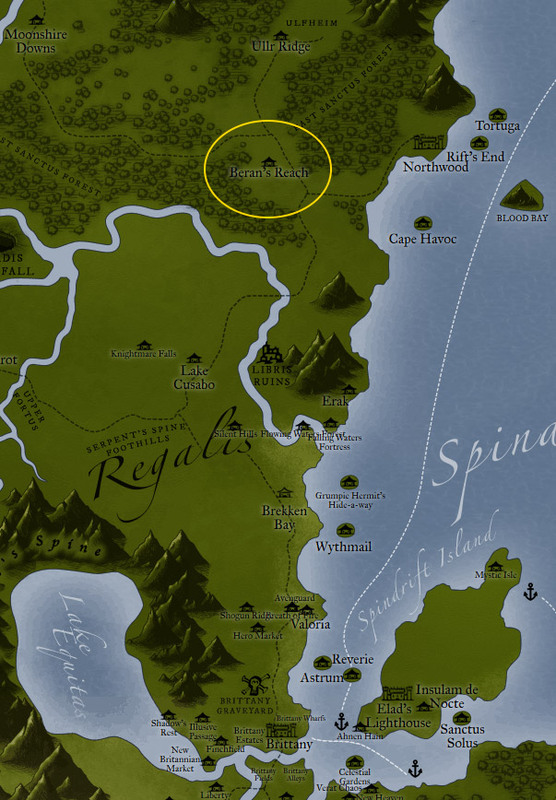 It is a town in the forests along the coast of Longfall, just opposite of the Bay of Storms. 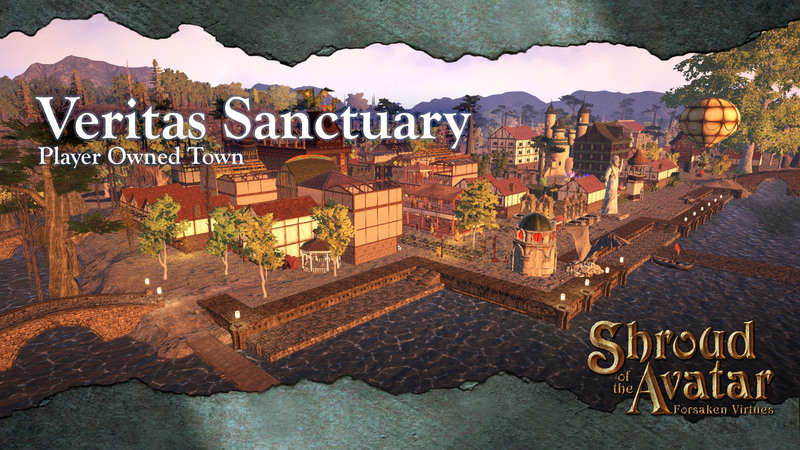 The governor of Veritas Sanctuary, Dereck Visaard, was kind enough to provide a fascinating update on the bustling activities of the town. 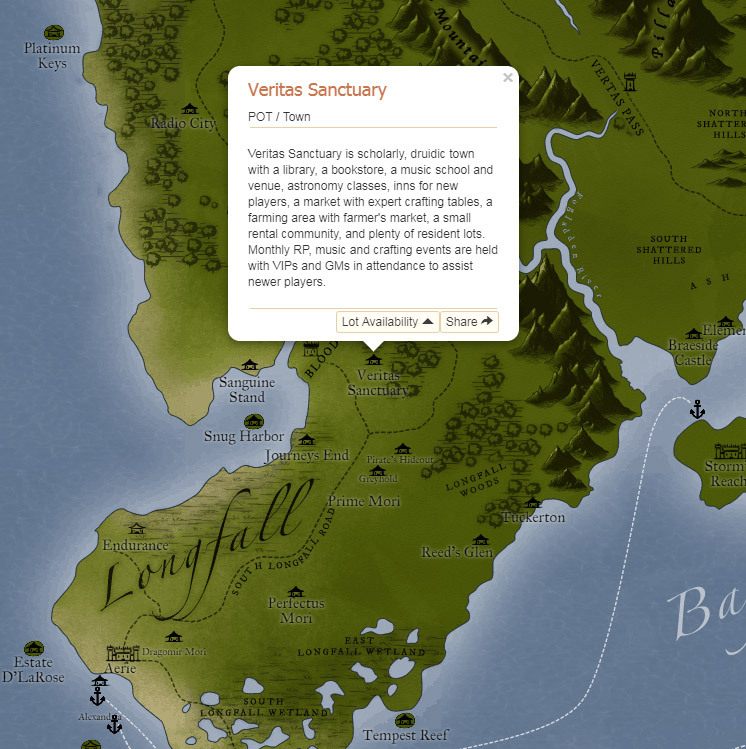 It’s been a while since we provided an update on the expansion of Veritas Sanctuary. Phase I of construction, referenced in this post, was completed shortly before the 2017 holidays when the town was a town-size POT. 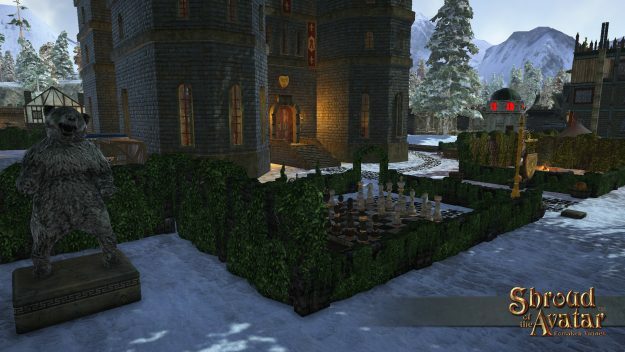 After the holidays, the town was upgraded to a city-size POT, and over the last few months residents have been hard at work building out the Phase 2 expansion. I am pleased to report that Phase 2 is now complete and open for business! I’d like to thank all the town residents and benefactors who contributed RMT funds, gold, COTOs, crafting supplies, and precious time to build, test, and refine the new southern areas. 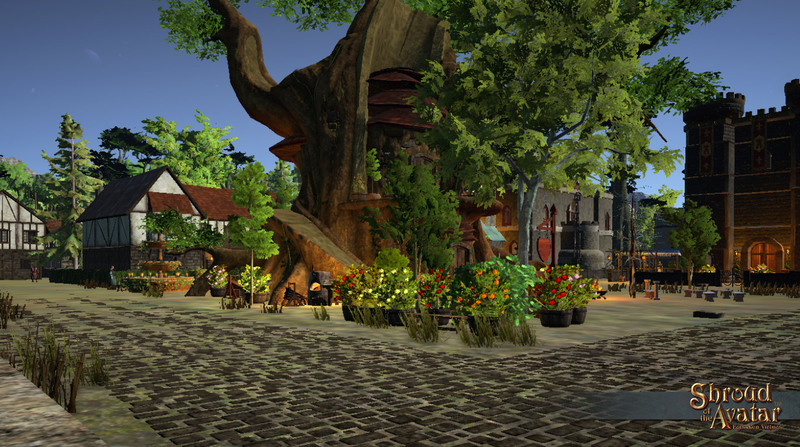 Town historians explored the ruins south of Scholar’s Square further and confirmed that the elven refugees from Vertas settled near two ancient trees along the river. One of the trees still stands at the riverbank, while the other evidently fell sometime before the refugee’s arrival. The few records we found relate that the mighty stump was sprouting new leaves when the elves arrived, so they built a small shrine there to commemorate a new start and appropriately named the tree “Hope Tree” symbolizing their hope of starting a new life. To honor their memory, we built the Hope Tree Market around its remains. The market features a full set of expert crafting tables, NPC merchants, an Oracle and banker, several new row and village spots for player vendors, and an upgraded auction house named Veritas Coliseum on the south side. 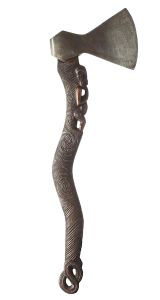 Yes, the Veritas Sanctuary Auctions will soon return! 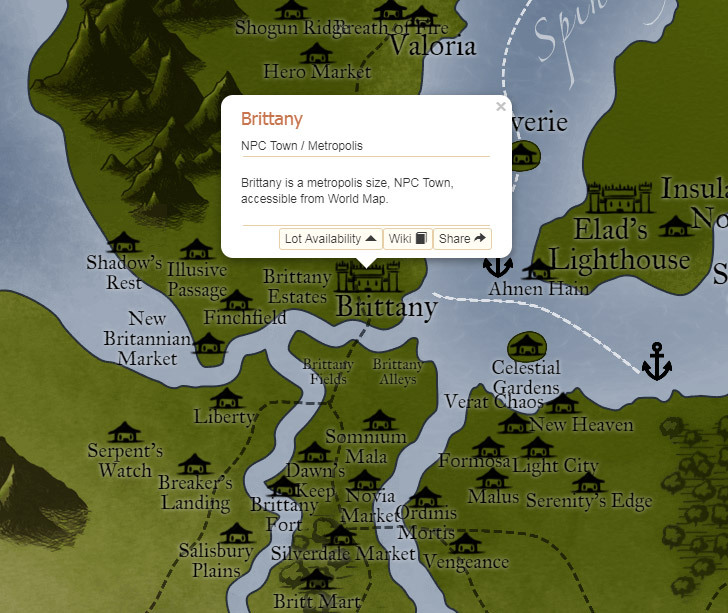 There are so many towns and historical landmarks to explore throughout New Britannia. 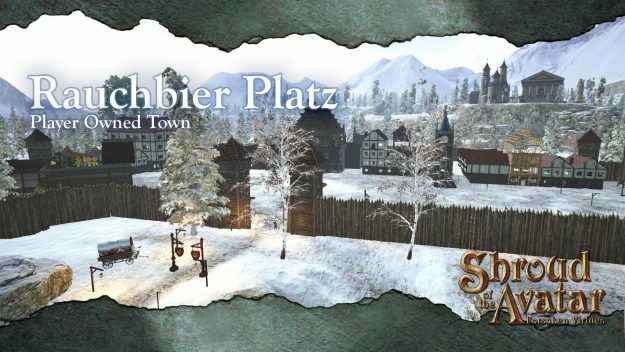 Visit the Community Spotlight section of the website to read about more of these sprawling towns. 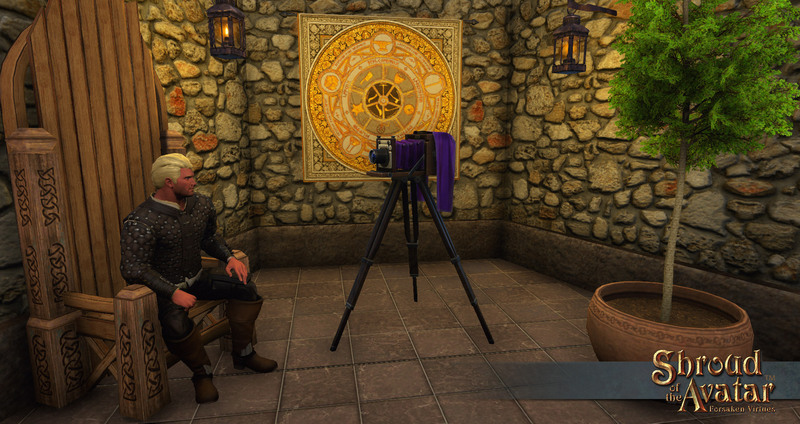 If you are interested in sharing your tales of adventure, message community managers Berek or Cerus! 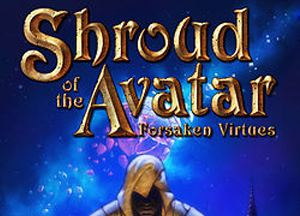 ​Once upon a time, somewhere in New Britannia, a mysterious Outlander arrived. 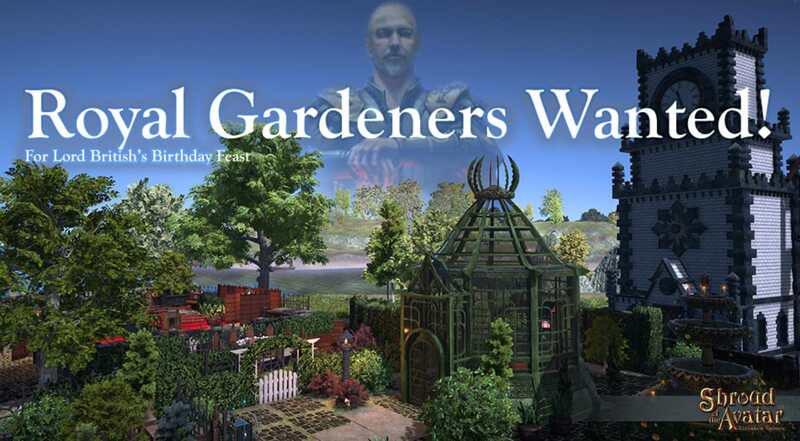 On July 2nd we want to gather with you in our beloved New Britannia and celebrate a very special event: Lord British’s Birthday! A new Community Livestream is set for this Friday and we’re celebrating Release 54 the entire time! We will be kicking off the livestream with our usual round of news from Starr “Darkstarr” Long, and then he’ll be off to Lux Sanctuary in the game to DJ as “DJ Darkstarr” for the release dance party at 6pm CT! 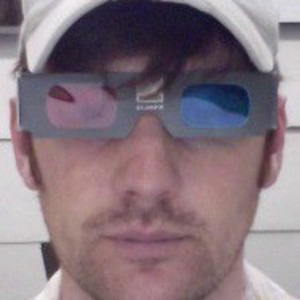 We’ll be following him along on the livestream as he cranks up the tunes for the crowd. Click here for the details of the dance party, sponsored by the great folks of Lux Sanctuary and Avatars Radio! A new Community Livestream is set for this Friday with several developers ready to show you the latest game content they’ve been working on! 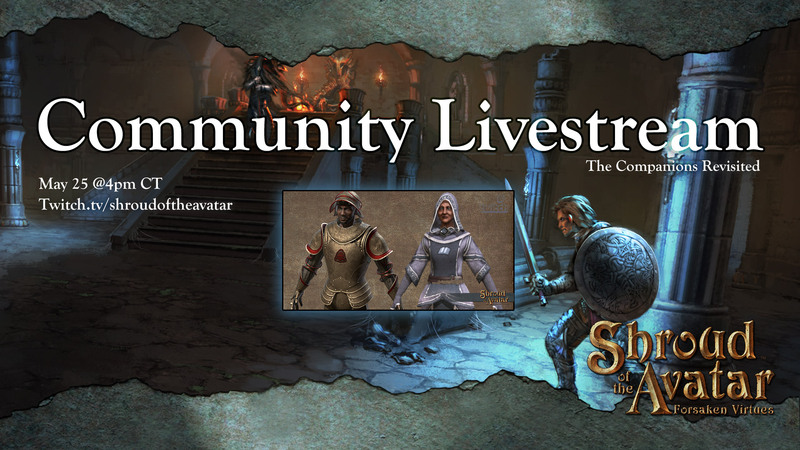 We will be kicking off the livestream with Fletcher Kinnear and Brandon Cotton to show off the companion gear that will be made available to players via questing for it, and then Erik Touve and Brandon Cotton will dive deeper into the Companion abilities. And finally, we have some really cool new property decorations to show you! 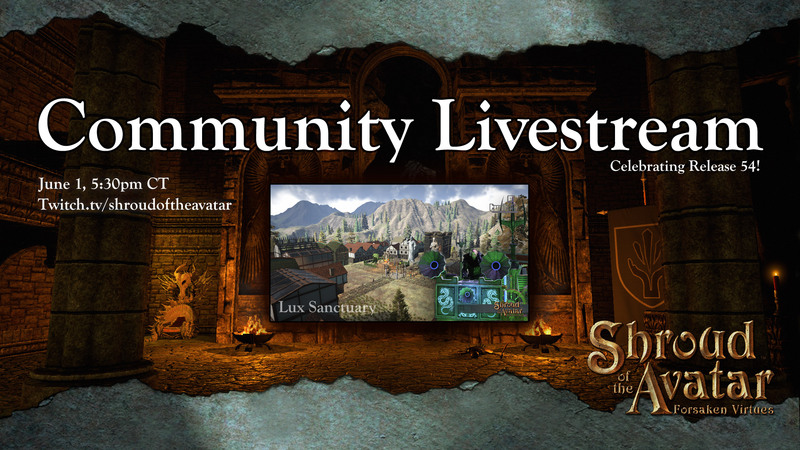 Another content packed Community Livestream coming this Friday! 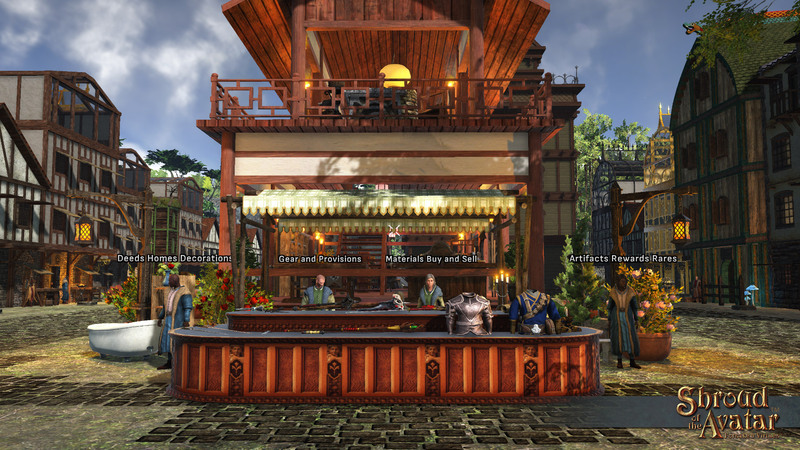 We will be kicking off the livestream with Bob Cooksey and Michael Hutchinson to show off the upcoming store housing! Then Esteben “SorcerousSteve” Zaldivar will be on to show off the new seaside scene of Westend.